It’s the evening of Thanksgiving. Friends and family gather around the dining room table as the smell of rich gravy, freshly baked rolls, and pumpkin pie fills the air. This is arguably the best meal of the year, but you already know you are going to feel fatigued and sleepy after. You’ve heard it’s the turkey. Something about the delicious meat tires everyone out and makes Black Friday shopping so much harder. 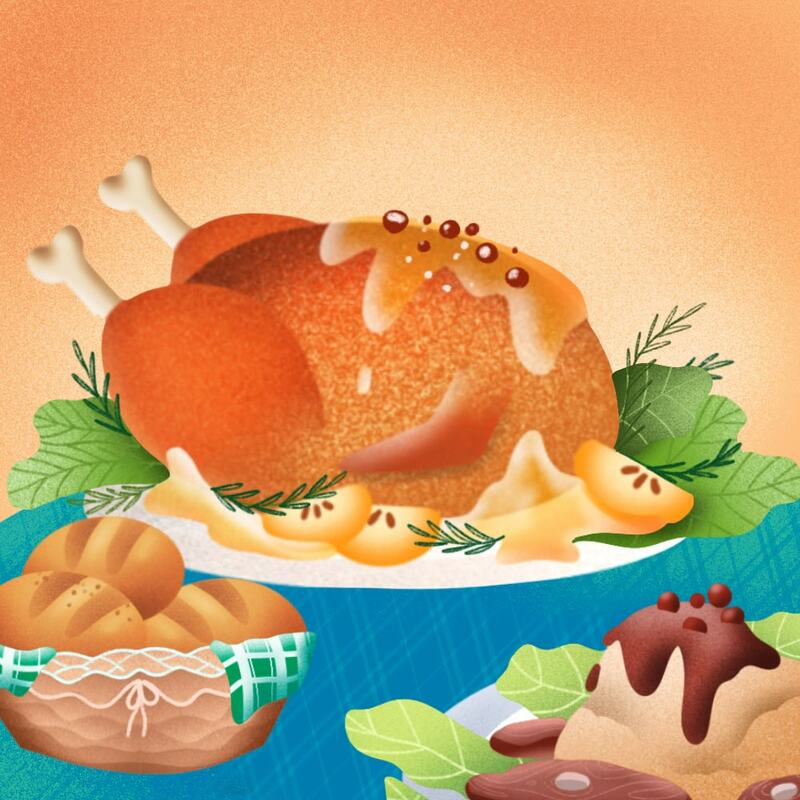 Can we really blame turkey for the fatigue we feel after eating Thanksgiving dinner? Turns out there is some scientific evidence that may suggest the bird is not to blame. It’s a popular myth that turkey sends you straight into a post-Thanksgiving daze. This could be because turkey is full of tryptophan. Tryptophan is an amino acid known for its ability to help your body produce serotonin, a brain chemical that helps you feel happy, relaxed, and, you guessed it, sleepy. It only makes sense that if turkey contains this powerful amino acid that it makes you tired. Right? Turkey actually doesn’t contain more tryptophan than other kinds of meats such as chicken. (1) While it contains tryptophan, the levels are not too high. Even if the turkey isn’t the cause of post-meal sleepiness, a big Thanksgiving meal could make you sleepy due to postprandial somnolence. After eating a big meal, blood flow moves from your brain and muscles into your stomach and intestines. This helps with digestion but also is what causes you to feel fatigued after eating. While turkey may not be to blame, postprandial somnolence is still caused by the types of food we eat. 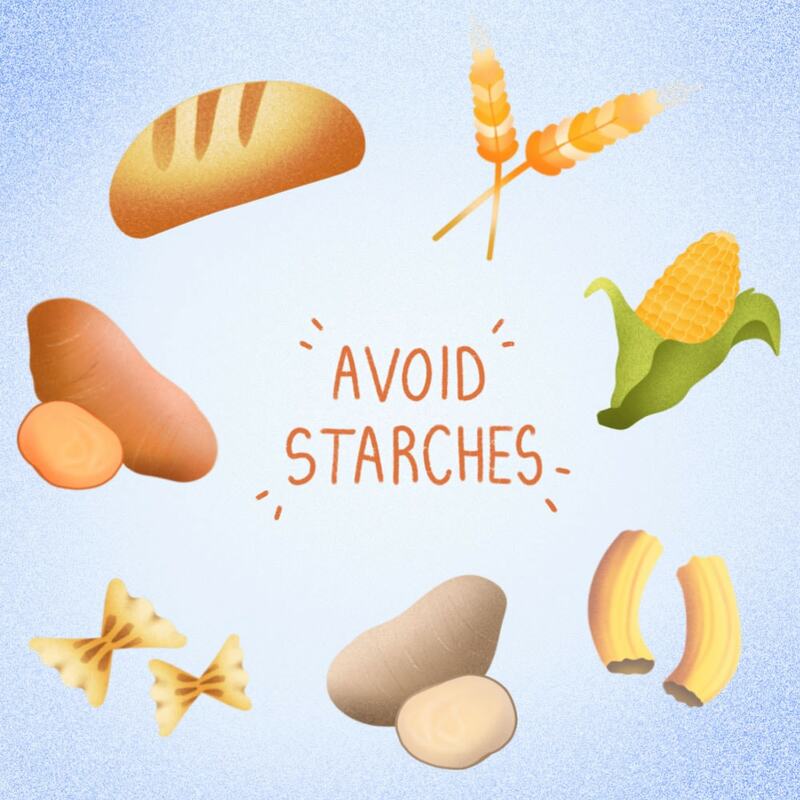 Foods with a high glycemic index such as white bread, pasta, rice, and other starchy favorites are more likely to send you straight to the couch after eating. With high glycemic index foods, the pancreas creates insulin in our bodies to break down sugars. Insulin also helps tryptophan create serotonin in our brains. So, while some may think that turkey causes you to be sleepy, rolls and potatoes are definitely the culprits. Not ready to give up your aunt’s famous mashed potatoes? Luckily, there are some tips for preventing postprandial somnolence. You can still enjoy a fun Thanksgiving feast without regrets! Follow these steps to prevent postprandial somnolence this November. Eat foods with a high-glycemic index in moderation. They tend to make your blood sugar spike and crash, leading to fatigue. Nosh on soup, salad, and other foods that are less filling. Don’t overdo the butter. High-fat foods take more time to digest, leaving you feeling tired longer. Exercise! A quick workout or brisk walk after a meal can help with moving blood sugar to your muscles. Stick to these tips and you’re sure to have extra energy for late night Black Friday shopping! There is no doubt that Thanksgiving totally rocks. Family traditions are made and passed down. Friends travel far and wide to gather around a table of delicious food. And now you know, it IS possible to enjoy all of the great things about Thanksgiving without feeling regretfully tired. 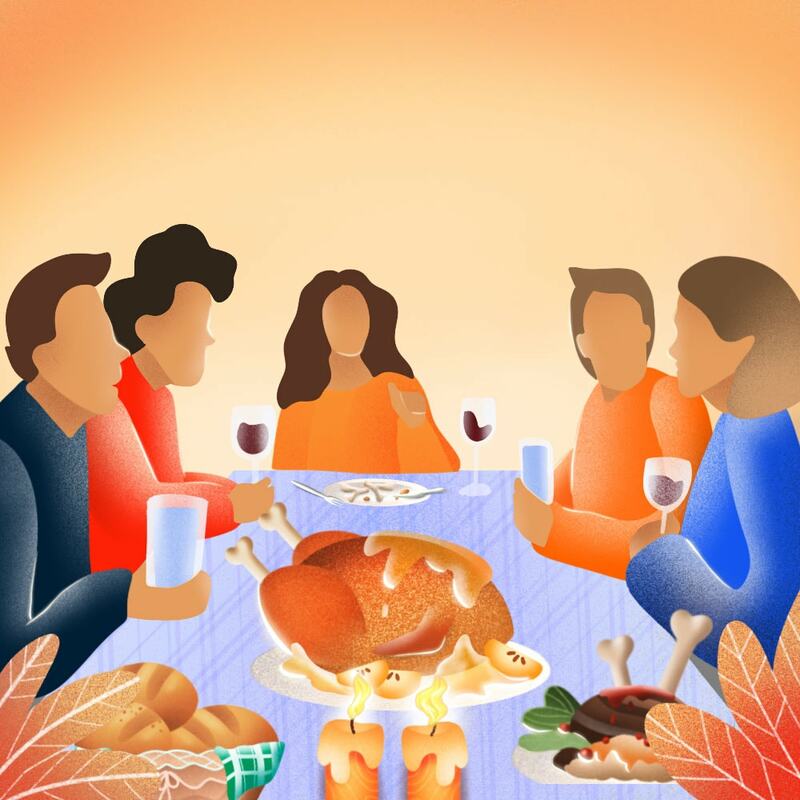 If your smarty-pants cousin says he’s not eating the turkey this year because he doesn’t want to slip into a food coma, you can let him know that the myth has been busted. Enjoy the tasty traditional holiday dish! (1) Zamosky, Lisa. “The Truth About Tryptophan." WebMD, www.webmd.com/food-recipes/features/the-truth-about-tryptophan#1. Accessed 9 Nov. 2018. Hold on! It might not be the turkey's fault.